Have you or someone you know ever struggled to release weight? You follow a program and all its instructions to a T, but the number on the scale is not to your liking. No doubt this is a frustrating occurrence and likely to get anyone down on their weight-loss efforts. A new study has shed some light on this conundrum, however, and it may simply be that different people respond differently to kilojoule restriction (1). That is, some will release weight more quickly than others. For the study, scientists from the National Institutes of Health conducted one of the most well-controlled interventions possible – a 77-day in-patient trial involving 12 obese subjects whose food intake was completely controlled and kilojoule expenditure (aka how many kilojoules they burned) and body weight and composition were meticulously measured. Upon admission and throughout the trial, participants’ kilojoule needs based on energy expenditure was assessed. Moreover, energy expenditure was measured in response to both excessive kilojoule intake and fasting for 24-hour periods and then for what the bulk of the trial involved, which was adhering to a liquid diet reduced by fifty percent of kilojoule needs. Also, exercise for fitness reasons was not allowed and activity throughout the study was limited. The researchers found at the end of the trial that despite the subjects following the same weight-loss protocol, there were some that lost significant weight, while others barely lost any. Previous researchers have found similar results and this has led to what’s known as a thrifty phenotype, or a person whose response to kilojoule restriction does not lead to weight loss as quickly as a spendthrift phenotype. Basically, a spendthrift can release weight easily while a thrifty person will not. Researchers point out how the reason for and identification of the two phenotypes has yet to be figured out. Possible influencers could be individual differences in nervous system activity, thyroid and appetite hormones, diet and weight-loss-and-regain history, and variable amounts of brown fat. Everyone has at least a little bit of brown fat, but it varies between individuals. Unlike white fat, which makes up the majority of fat in the body and stores kilojoules, mitochondria-packed brown fat cells burn energy and produce heat. If losing weight while following a program is a struggle, it may not be that anything is being done wrong, it’s more just a matter of time. 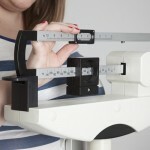 One important factor to remember is that the number on the scale is not the only marker of health. Your energy levels and how you feel, how you’re able to perform daily and physical activities, how well you’re sleeping, and other health markers are all non-scale measurements that a healthy weight-loss regimen can improve. It’s also important to remember what the alternative is – even if you’re not seeing the scale budge as much as you’d like, is it better to give up and go back to old eating habits? Most likely not. Weight loss is unfortunately not a fully-known and well-understood science yet. But always listen to your body and remember that the journey will be different for each individual. Stick with your balanced Isagenix® weight-loss plan. Sometimes the end goal may just require more time, patience and persistence. Reinhardt M, Thearle M, Ibrahim M et al. A human thrifty phenotype associated with less weight loss during kilojoule restriction. Diabetes. 2015.